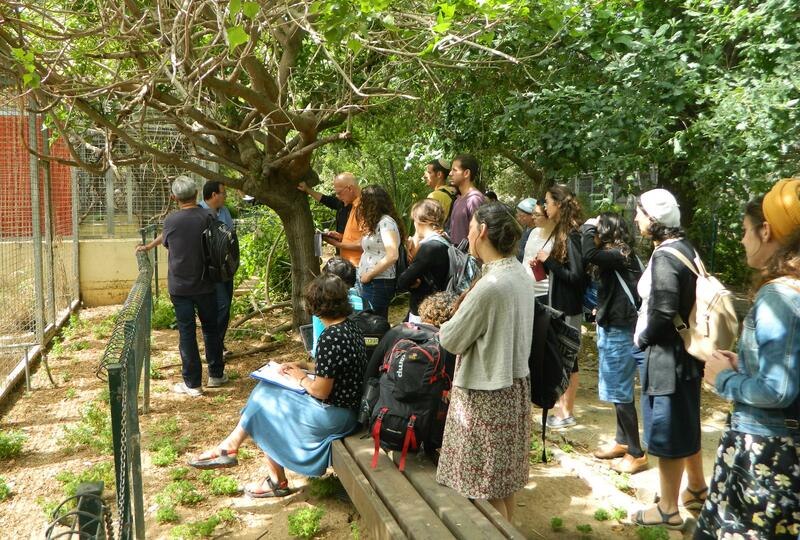 One Friday many weeks ago I attended another field trip offered by my department in Bar Ilan University. 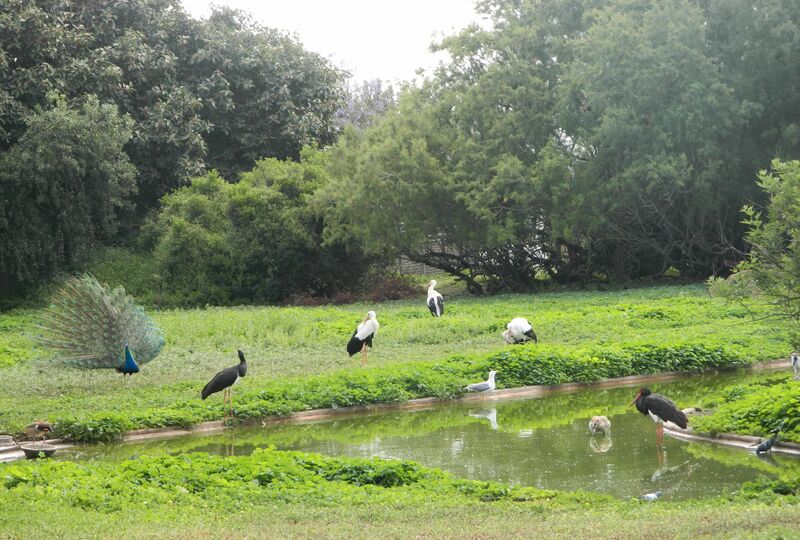 This trip was to the Tel Aviv Zoological Research Institute in the northern end of the city, between Tel Aviv University and the Yarkon River. We congregated outside the institute’s gates while our guide, Dr Moshe Natan, secured our entry. Generally closed to the public, the institute does open for select tour groups such as ours. Inside, we gathered together to hear opening words on the tour and the uniqueness of the institute. 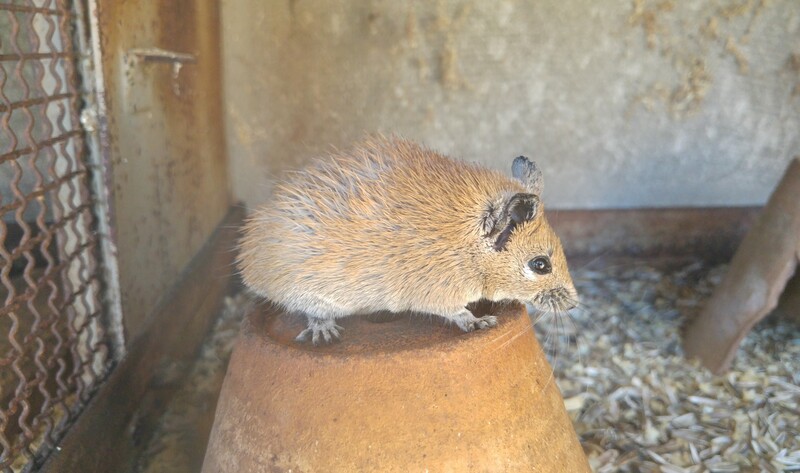 Similar in concept to the Jerusalem Biblical Zoo, the institute focuses on animals local to Israel and engages in both research and sanctuary for wild animals who, for whatever reason, won’t survive if released back to nature. 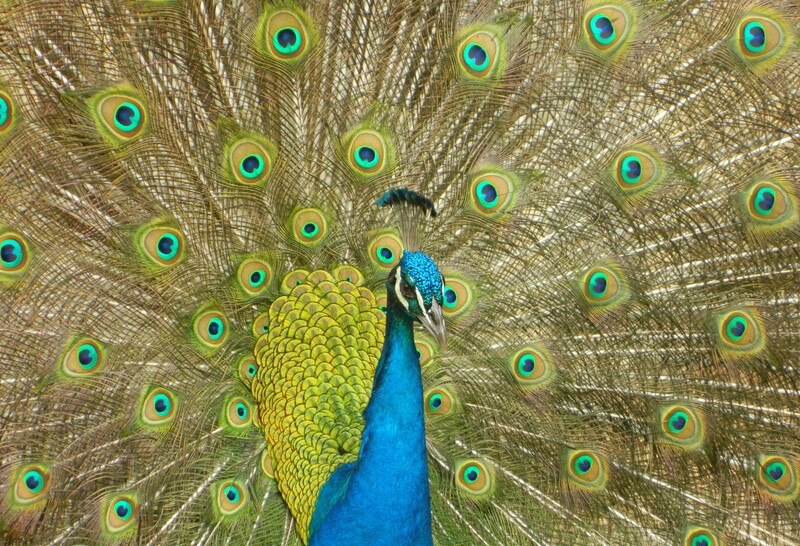 A slight exception to the rule, countless peacocks roam the grounds, the iconic males in constant display to woo the plainer females. The layout of the grounds begins as a circle, with a large open area in the centre, complete with a small pond. There we saw in plain view at least a dozen species at any given moment, some wild and some captive, including gulls, geese, swan, storks, flamingos, peacocks and gazelles. We began at an enclosure for Nubian ibex, a mammal that has become quite common in several locations in Israel, including Mitzpe Ramon in the Negev. 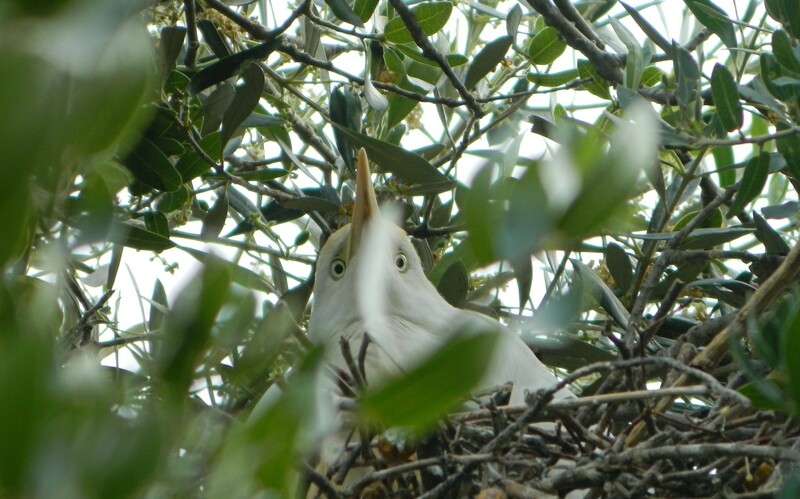 From there we moved onto a large tree beside the walkway, host of many nests belonging to herons, egrets and more. We watched the violent feeding methods of the cattle egret, the frazzled-looking young grabbing the parent’s head, forcing it to regurgitate the food. Moving along, we approached a series of cages filled with an assortment of interesting birds, including spoonbills, sand partridges and white-eyed gulls. 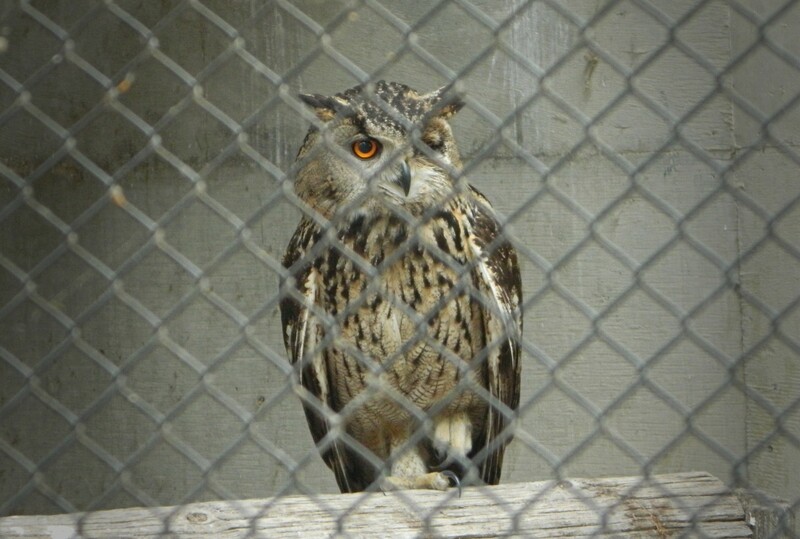 Cages further along contained owls such as the eagle owl, pharaoh eagle owl and the tiny scops owl. Finished with the birds for the time being, we then set our eyes upon the wolf enclosure where we watched a male and a female race around the grassy area. Directly opposite we found a muddy patch containing several wild boars — huge frightening beasts that strike fear in the hearts of hikers like me. Continuing along the path, we found sleeping jungle cats and a small flock of nene geese, endemic to the islands of Hawaii. 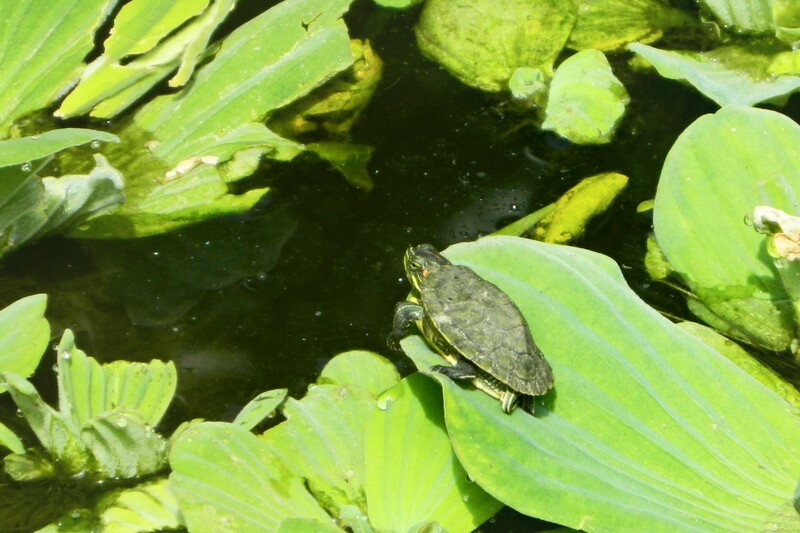 A small pond, choked with lily pads, provided refuge for dozens of red-eared slider turtles. Next, we came upon the cages of the birds of prey, and my excitement grew. We started with some fine specimens of lesser kestrels and a lanner falcon. Next, a cage with some harriers and another cage with some ravens. 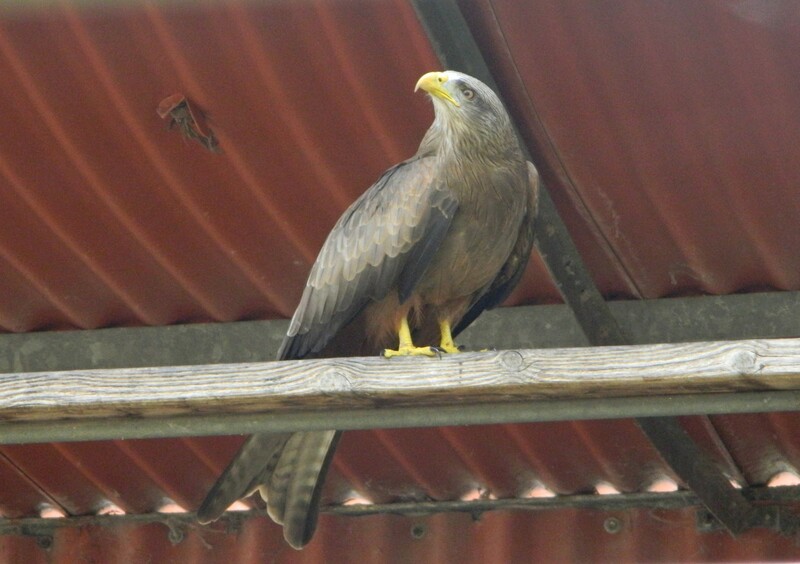 The following cage was occupied with birds of prey of several species: short-toed eagles, long-legged buzzards, black kites and a lone yellow-billed kite (which is very rare in Israel). Neighbouring cages contained eagles and vultures, including the enormous white-tailed eagles (with a maximum wingspan of 240 cm) and Griffon vultures (265 cm). From there we visited the porcupine, cormorants and pelicans, and even feigned feeding the herons and egrets in the open area to demonstrate how bold they’ve become. When we had enough entertainment watching the birds of the field we moved towards a small compound on the other side of the central building, where the rodents and reptiles are stored. Alternating between rodent and reptile, we saw many interesting species including golden spiny mice, Arabian horned vipers, the American-native gila monster and my favourite Israeli snake, the black desert cobra. We went up and down the rows of cages, peering inside each and every one to spy on the inhabitants. At the tail end, when we were examining a large python and an iguana that reminded me of my days in Miami. Our tour had come to an close, as it was Friday afternoon and Shabbat was approaching. We parted ways, having enjoyed an interesting morning with Dr Moshe Natan at the Tel Aviv Zoological Research Institute.